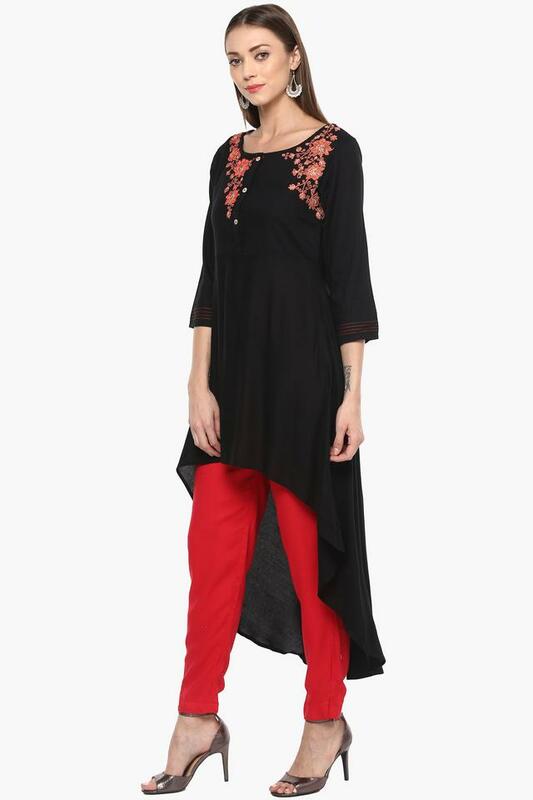 Add a touch of bohemian chic to your collection with this high low hemline kurta from Imara. Made from good quality fabric, this kurta is lightweight. 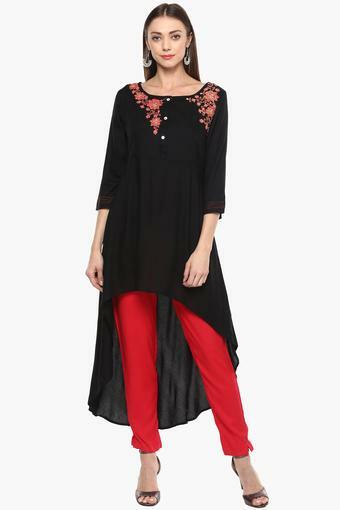 Featuring a round neck, three quarter sleeves and embroidered pattern, this kurta possesses a stunning style. Be the showstopper of the event by wearing this remarkably designed high low hemline kurta. Dress it up by pairing it with leggings and heels.